Goals: Expanding the team in eindhoven both commercial and tech, 15-20 hires. Egbert: "50five is growing internationally and after growing 1400% in the last few years, we found ourselves at the crossroads of building a team to bring us to the next phase. For our business it is important to have a team of people who understand retail, e-commerce and are entrepreneurial, and that can be hard to find”. Egbert: “Within a few days, we were happy to see that New Amsterdam Capital had set up a great careers-page for us, with all the open jobs. It was spot-on, sharing our established employer brand! The team also explained to us, how their Applicant Tracking System worked, and we liked the transparency. They gave us access to the system, so we are able to have a look at what’s going on at any time. Within the first 8 weeks, we were able to achieve the first 6 hires, both on Tech and Non-tech. We always work according to the priority of the company. Our work is not done yet, and the project is still active. We are even proud to say that we are extending our project with 50five, as the working-relationship has been very much appreciated from both sides. 'Smart advice for every smart device'. 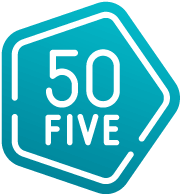 Meet 50five: the #1 authority in smart home. Home automation offers connected devices enhancing the comfort in your home. From efficient heating and energy saving to endless lighting possibilities, attentive security solutions and smart audio devices, all connected to your smartphone. If you can’t or don’t have the time to install the connected devices, we can also do it for you. As the smart home authority, we aim to make smart home accessible to anyone. To support the team we have joined to attract the talent that is needed for 50five to grow. Currently we have great positions in Eindhoven as well as in Chesterfield.